Data Doctor Recovery Memory card provide easy and powerful Memory card recovery.It can recover files that accidentally deleted, corrupted or formatted images, audio, video, Mp3 music files and folders from usb flash disk, Multimedia card (MMC), xD-Picture card, Secure Digital (miniSD, microSD, SDHC and SDHC plus card) card, Memory Stick (MS, MS Pro, MS Pro DUO), External mobile phone memory card and other memory card storage media. How to install Data Doctor Recovery Memory card ? Please read the following article ,It have the same installation steps . 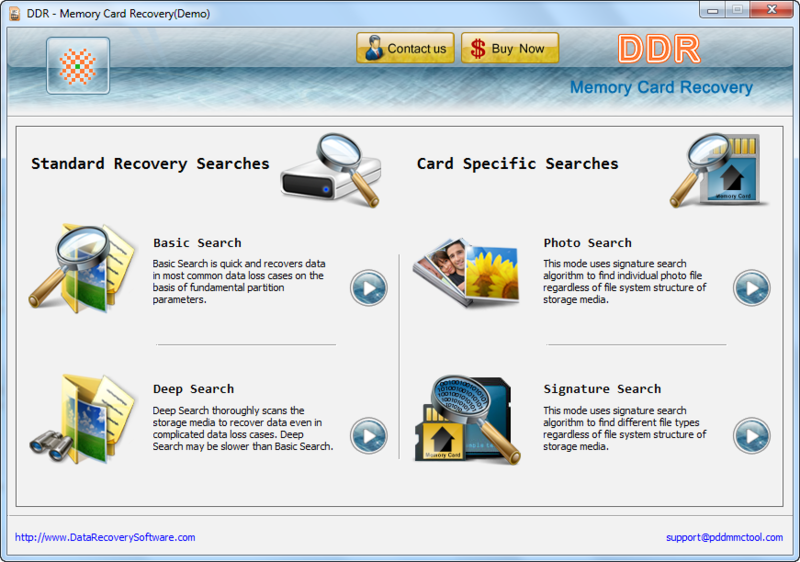 How to recover deleted files with Data Doctor Recovery Memory card software ? Insert your usb flash drive , then open Data Doctor Recovery Memory card software .Choose your flash , wait until scanning your deleted data .Click on save to recover your data .